The quilt chronicles continues with Corbin's Quilt. 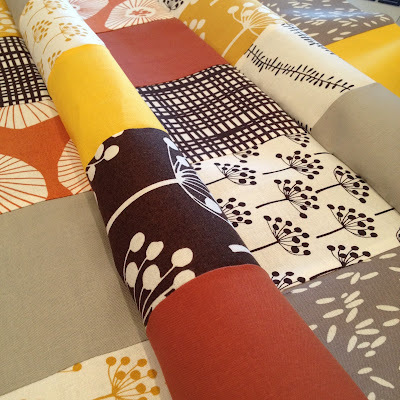 I have been showing my evolution as a quilter. to make a larger than lap sized quilt. 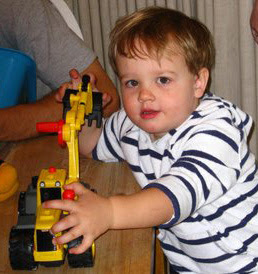 Corbin was such a cutie on his birthday, in 2008. He's already grown up so much from that little 2 year old. He'll be 6 years old in a few weeks. He is such a sweet boy and gives the best hugs. I'm hoping it is for the better. and has a wonderful texture. and will be mailing it out tomorrow. I like to look back, it reminds me how far I've come, not just style wise or skill level, but creatively. I'm doing things today that I never would have imagined when I started quilting 13 long years ago. I can't wait to see what you do with the Echo, it's become a favourite! Love the quilt chronicles! It does tell an interesting story, doesn't it! Corbin is a great looking boy!Look forward to seeing what you make from the "Echo"!! I am yet to cut into my stash but it is calling me! Little boy hugs are the best! 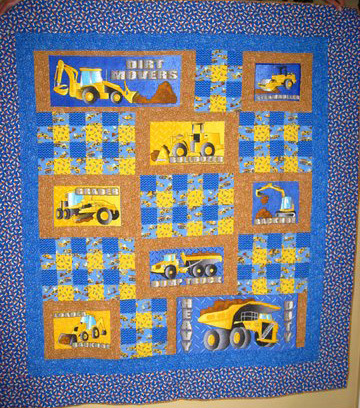 Love your dirt moving quilt. And cute grandkiddo! How fun that they have you to make all of these wonderful things for them. It's nice to see how you evolved through things. I cringe when I see the first scrapbook I made for my dad - he loves it though (there's no accounting for taste lol) I haven't made enough quilts yet to truly see an evolution though, it'll be fun to look back! Amazing how you have evolved in your quilting style and taste. Of course, the kids always love something that appeals to them...so I'm sure Corbin still loves his quilt.